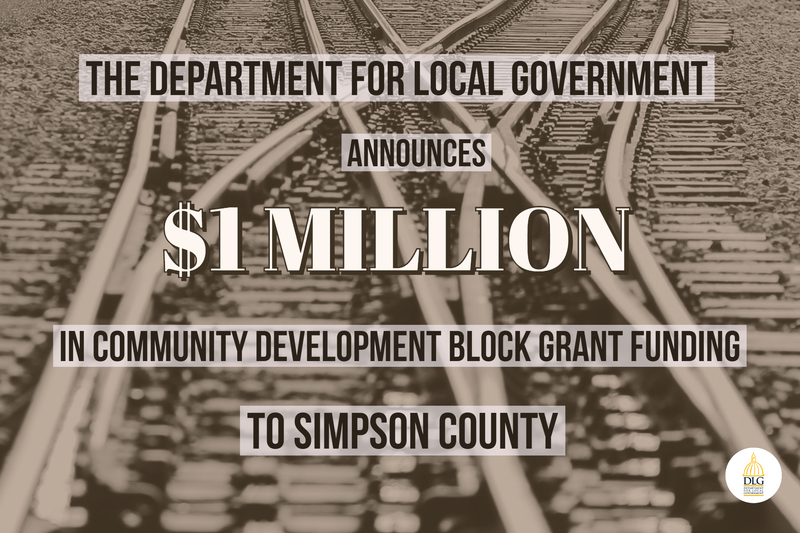 FRANKFORT, KY (October 19, 2018) – The Department for Local Government (DLG) has announced a $1 million Community Development Block Grant (CDBG) to Simpson County on behalf of the Franklin-Simpson County Economic Development Authority. The federal funds will allow the development authority to construct a rail spur in the Wilkey North Industrial Park, which will serve the Fritz Winter North America LP automotive parts plant. The rail spur will be constructed off the CSX railroad’s main line to the production facility and will help the company more efficiently receive raw materials and ship products. The iron casting foundry and manufacturing facility in Franklin opened last year and could eventually bring more than 300 jobs to the area. The CDBG funds alone are expected to create 60 jobs. To learn more about CDBG and other grant opportunities available through DLG, visit dlg.ky.gov.